1. Everyone supports the war on drugs. 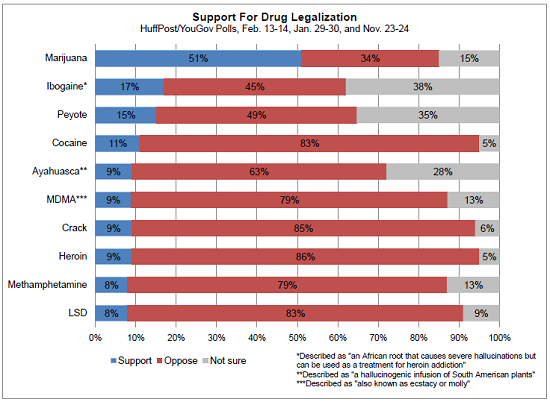 Plenty of people support legalizing marijuana these days, but almost no one thinks cocaine, heroin, or methamphetamine should be allowed to be sold. Why are police beating people up for no apparent reason? Why do poor communities usually hate the police? Because it’s difficult to criminally prosecute people engaged in voluntary transactions without heavy-handed tactics. When person A sells person B a bag of drugs, there’s no victim to visit police and testify against a criminal in court. So the police rough up teens, raid homes, and act like an occupying military force. Sometimes they become drug dealers themselves. So long as drugs are illegal, this dynamic won’t change. And so long as people who support the war on drugs don’t realize the police in Baltimore are doing their bidding, their opinions won’t change. Police brutality is part and parcel of drug prohibition. 2. Police are unionized public employees. This means that Democrats and progressives will support them — in action if not in name — when push comes to shove. Police have used their status as public employees to provide reliable voting blocs and important endorsements in exchange for cushy pay, extraordinary benefits, free legal representation, and specific carveouts that protect police from criminal and civil consequences when police break the law. You might see politicians complaining about police violence, but that doesn’t mean they’ll vote against a Law Enforcement Bill of Rights or take away their collective bargaining powers. Democrats have uncontested control of nearly every major city in the United States, which puts police — and their special legal rights — beyond reproach. 3. White people caring about the plight of non-white people is a morally-good development, but it won’t fix the two problems discussed above. It’s a good thing that more people are concerned about police brutality and view it as a bug instead of a feature of the American justice system. But feelings are just that — feelings. Unless those feelings translate into political action and that political action correctly addresses the policies that facilitate police brutality, then we shouldn’t expect the situation to change. The awful situation in Baltimore is as good as the War on Drugs gets. Baltimore is a city with black leaders and black police. Drug prohibition in Baltimore is administered by people who have good intentions, who are Democrats, who care about the poor, who care about inequality, and who care about social justice. But even with these people in charge, drug prohibition has created a brutal police force with a history of oppressing the city’s residents. It doesn’t require racism, bad intentions, or evil people for Freddie Gray to be murdered in police custody. It merely requires that we make drugs illegal and task police with enforcing that prohibition. #DC. Living for the city.